Doug is an exceptional business advisor with over 35 years of financial and operational experience. His goal is to help a business owner optimize their business potential by improving cash flow and developing and implementing plans to maximize the value of the business. Doug developed his business insights through diverse roles in the manufacturing, banking, construction, and transportation industries. A hands-on leader adept at building consensus to creatively solve business problems, Doug has created cross functional teams that have consolidated operations thus reducing expenses and generating cash as well as expansion of product offerings and sales growth. His experiences managing finance, human resource, information technology and risk management functions give him the versatility to tackle complex business issues. Doug has broad merger and acquisition experience successfully leading twelve acquisitions, helping a regional bank double to $8 billion in assets and adding new business lines in insurance, brokerage and benefit plan administration. He also has led acquisitions and divestitures in the manufacturing and agriculture industries. He is a trained Exit Planning Advisor, one of a select few such professionals in the US. While advising and directing a wide range of banking, credit and legal activities, Doug developed extensive professional relationships including bankers, attorneys, tax advisors, wealth planners and M&A advisors. He has worked with several families and their advisors to develop and implement estate planning and business transition strategies. Doug’s integrity, perseverance and genuine concern for the success of the business make him a valued advisor. Doug is a graduate of Bradley University earning his Bachelor of Science degree in Accounting. 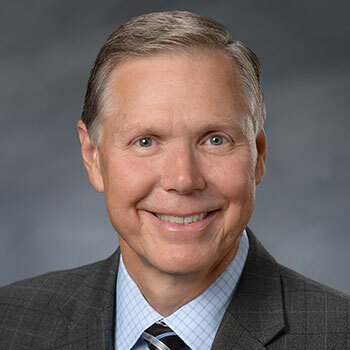 Doug began his accounting career at KPMG Peat Marwick and has served as Senior VP for a publicly traded regional bank, CFO for a privately held company, and advisor to numerous other businesses. He is a member of the American Institute of Certified Public Accountants, Indiana CPA Society, and has served on numerous boards of business and charitable organizations in the Evansville area. Doug serves as an elder and a musician at Bethel Church. Doug and his wife of 35+ years, Paula, are proud parents of three adult children.